AMDA | AMDA News - From Souvenir Stand to Stardom! From Souvenir Stand to Stardom! NEW YORK -- Broadway's famous lights will shine a bit brighter this week as Lindsay Roginski becomes the latest starlet to portray Roxie Hart in the celebrated revival of John Kander, Fred Ebb, and Bob Fosse's Tony Award-winning Chicago the Musical. Roginski, who delighted audiences around the world as Roxie on national and international tours of Chicago, will reprise her leading role as the merry murderess this week on Broadway. "I saw Chicago when I was 16 years old. It was the first Broadway show I ever saw. I fell in love with it, it's the reason I moved to New York from Ohio...to be in this show! After moving to New York, I immediately went over to the theater willing to take any job I could. This is a great honor for me," said Lindsay Roginski. She landed a job selling souvenir programs and as a bonus, got to watch the show every night. "I was able to watch and learn the show inside and out, I even practiced the dance steps in the back of the theater along with them, in hopes of one day getting a chance to audition," she says. This week, Roginski will once again work at the theater, but this time as Chicago's leading lady. On Sunday, The New York Daily News noted in a page three feature article the great American success story culminating on Broadway: Actress goes from souvenir stand to Chicago lead role on Broadway. The Davis Enterprise Newspaper in Sacramento, Calif., where Roginski recently starred in Chicago, said: "Roginski is a luminous Roxie. Her facial expressions, her beautiful body lines in freezes make it impossible to take your eyes off of her. You somehow forget that she is a heartless woman who cares only for herself and doesn't care whom she hurts in her attempt to get to the top." The star studded Chicago cast also features Amra-Faye Wright Brent Barrett, Paul C. Vogt, and Carol Woods. 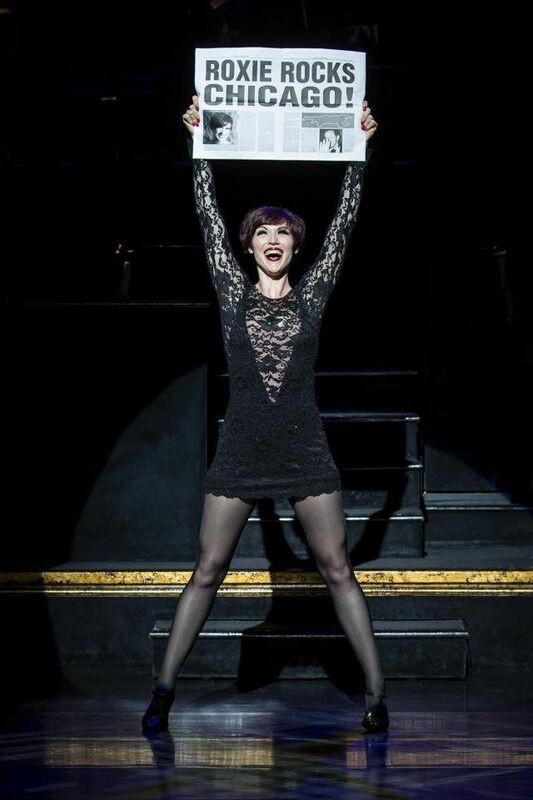 Starred as Roxie Hart on the national and international tours of Chicago, and at Sacramento Music Circus (2013). Starred as Lola in Damn Yankees opposite Richard Kind. Off Broadway: Featured star in Heat Wave: The Jack Cole Project, directed and choreographed by Chet Walker, the creator of Fosse, and as La Goulou in The Fartiste. Other credits include One for My Baby starring Vivian Reed, Grease, 42nd Street, Godspell, Crazy for You, Closer Than Ever, My One and Only, Annie, and more. Roginski recently made her New York cabaret debut at the prestigious Metropolitan Room, Iridium Jazz Club and 54 Below. She is currently working on her new cabaret show set to debut later this year.